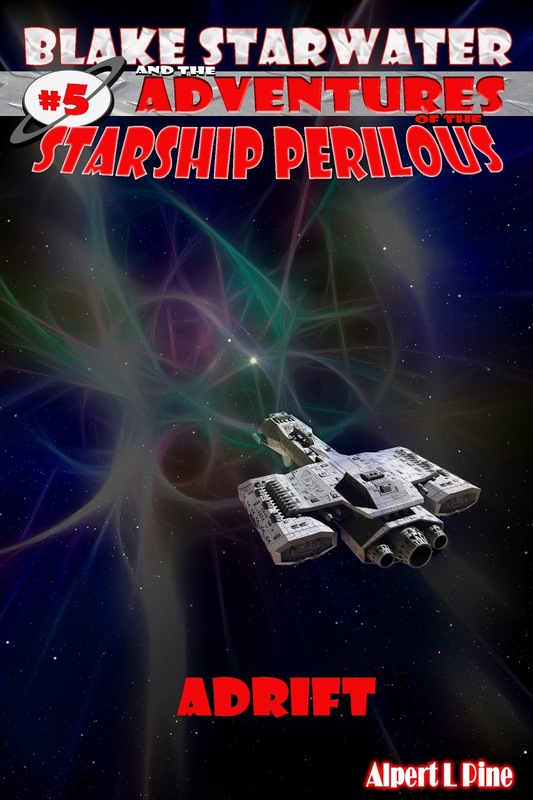 Blake Starwater and the Adventures of the Starship Perilous #5. After responding to a weak distress signal, the Perilous discovers another ship drifting without power in a distant star system. Complications arise as Blake and the crew attempt to determine what happened to the stranded ship and to those aboard. With no signs of life, who is sending the distress call? Will the crew put the pieces together in time, or will they suffer the same fate as the derelict vessel? Blake Starwater and the Adventures of the Starship Perilous: Adventure #5.